Are you one of the thousands of listeners to our weekly radio show, The Marketing Checklist? If so, you've probably noticed a change in our production staff. We first learned of Windy West‘s death about 1.5 hours before our show was to air on Tuesday, May 23, which meant we re ran the prior week's show (and that her death was due to suicide the following day). Then we pre-recorded last week's show since we were away with family in Orlando. This means that this past Tuesday's show was our first show with our new producer, Craig. And it was filled with technical glitches (check it out…with apologies to Wil Bower…we'll reschedule his interview). Since we will be away for the next 2 weeks, we tried to pre-record a show today with another client, to air on Tuesday. And it failed to record. Could Windy be messing with us from Beyond? 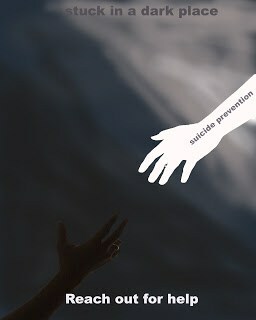 Most people that choose suicide do so because they think those of us left behind will be better off. So why torment us? Have you ever been in such a Dark Place that you considered suicide? What did you do to find your way out of that Dark Place? I spent a week on a locked psych ward two months before I met Hank. It was a very dark time. While the hospital kept me safe, it was really my mom who threw me a lifeline and helped me out of the hole I had dug for myself. Unlike Windy, I didn't really want to die. I desparately wanted out of the very painful situation I had created and I didn't see another way out. Until my mom showed me a way. I don't have the words to express how much we wish Windy had reached out. If not to us, to any of the countless others who would have shown her another way out of her Dark Place. I have slipt into that Dark Place a few more times since that week I was hospitalized. What keeps me from staying in that space and making the choice Windy did is remembering this trueism: Never Choose a Permanent Solution to a Tempoary Problem (even though it sure doesn't feel temporary at the time). I remind myself that in those dark days, I couldn't have pictured the life I have today: a loving husband, our own business, the opportunity to live mortgage free in a beautiful resort setting, etc etc etc. I guess my fear of missing out on what else is still to come that I can't even picture today, is stronger than my wish to be pain free when those dark days cloak me in. If you, too, find yourself in that Dark Place sometimes, I implore you to reach out, to let someone know that you are hurting. Brainstorm solutions. Maybe even medication. At the very least, please call the Suicide Prevention Hotline at 800-273-8255.